This woman is everywhere – every fashion event, every front row – and now on a front cover – of British Vogue, no less. I wonder if the fashion media machine is working her or if she is working it? 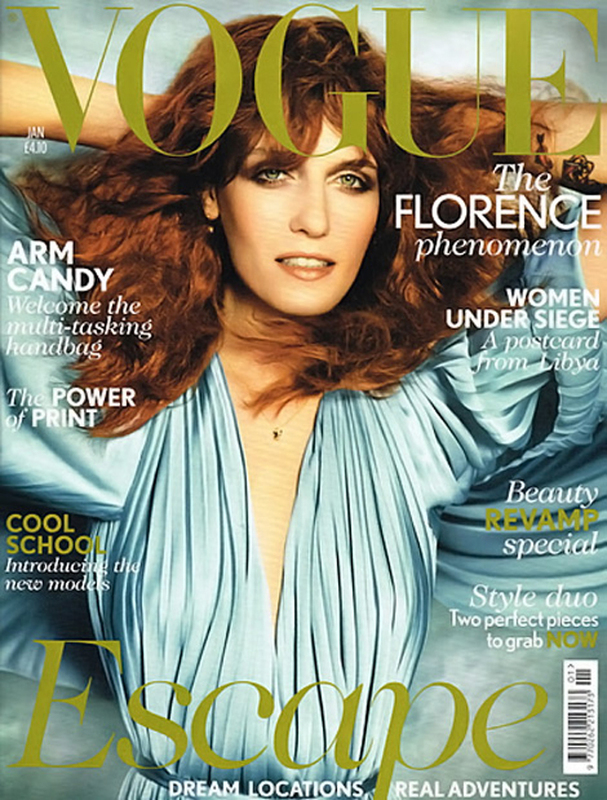 Florence Welch photographed by Mario Testino for the January, 2012 issue of British Vogue.